Recent years have shown that when choosing instrumentation for dissolved oxygen monitoring, measurement ability is not the only factor to consider. In the last decade, the reintroduction of optical and galvanic sensor options for dissolved oxygen equipment has brought a reassessment of industry thinking, as well as a rebalance of the measurement/maintenance dynamic. Whilst measurement capabilities are at the forefront of the user’s mind, proper installation and a vigorous sensor maintenance schedule is of paramount importance. This school of thought within the dissolved oxygen market led to the genesis of a self-cleaning mounting option for Partech’s OxyTechw2 range. Being able to have peace of mind that your equipment is performing to the best of its ability and not having debris or extraneous material obscuring a sensor, is worth more than money. This is something that self-cleaning technology can deliver, ultimately outweighing measurement ability alone. With this in mind, Partech’s inexpensive FlexTech mounting options for the OxyTechw2 range is inherently self-cleaning, without any moving parts or compressors to drive up operating costs or maintenance bills, leaving the sensor to do what it does best. 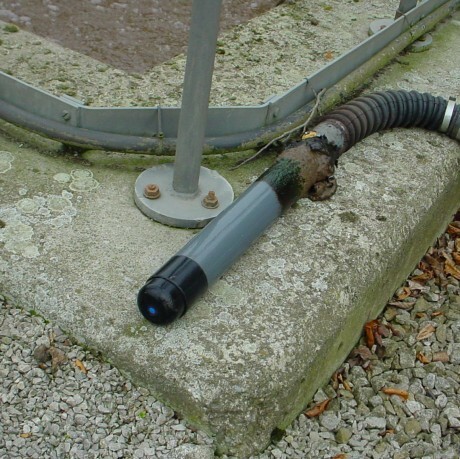 Especially useful in activated sludge applications, the FlexTech mounting range places sensors below the water level and away from the worst areas of fouling, therefore avoiding inaccurate readings due to negative surface effects. As well as this, the mounting enables continuous movement of the sensor within the liquor thus avoiding any potential biofouling. Should a ‘ragging’ situation occur, the sensor’s movement is exaggerated to shake off the detritus – something that would cause a major hindrance to equipment without a self-cleaning ability. Overall, whilst a precise measurement function is a must for all process instruments, we believe an effective, simple and trustworthy self-cleaning feature (such as the FlexTech mounting) is just as important when accurate and dependable readings are the intended result.